One in five children in the U.S. lives with a mental health condition and research shows that about 50% of all mental disorders that happen in adulthood can be identified as early as the age of 14. Learning that your child may have a mental disorder may be challenging, but it’s important to know that children can and do recover from such conditions. Early intervention and access to services and supports is key to supporting every child’s mental health. Every year, the Substance Abuse and Mental Health Services Administration (SAMHSA) hosts National Children’s Mental Health Awareness Day to raise awareness about children’s mental health. The Awareness Day 2016 national event in Washington, DC— “Finding Help. Finding Hope.”—will explore how communities can improve access to behavioral health services and supports for children, youth and young adults with mental and substance use disorders and their families. This year, parents and caregivers around the country will have the chance to interact with the national event through Awareness Day Live!—an opportunity for families to join the national conversation by viewing the event’s live webcast and posing questions to panelists on stage via digital and social media. You’ll hear from a teacher, a student and a parent about ways to connect with mental health services and supports through the school system. The event takes place Thurs., May 5, in Washington, DC at 7 p.m. EST at The George Washington University School of Media & Public Affairs’ Jack Morton Auditorium. If you are in the district, you can register to attend. Watch the live webcast on May 5 at 7 p.m. EST. View the national event webcast. Use social media to join the onstage discussion via Twitter, Facebook and Instagram using the hashtag #HeroesofHope. Your children and youth can organize a group of friends to participate in the Awareness Day 2016 “Text, Talk, Act” discussion on May 5 by texting “START” to 89800. “Text, Talk, Act” is a text messaging platform that leads small groups through a conversation about mental health and how to help a friend in need. View the on-demand version of the national event at a later date with a small group, and discuss how children with behavioral health conditions can be better supported in your school. 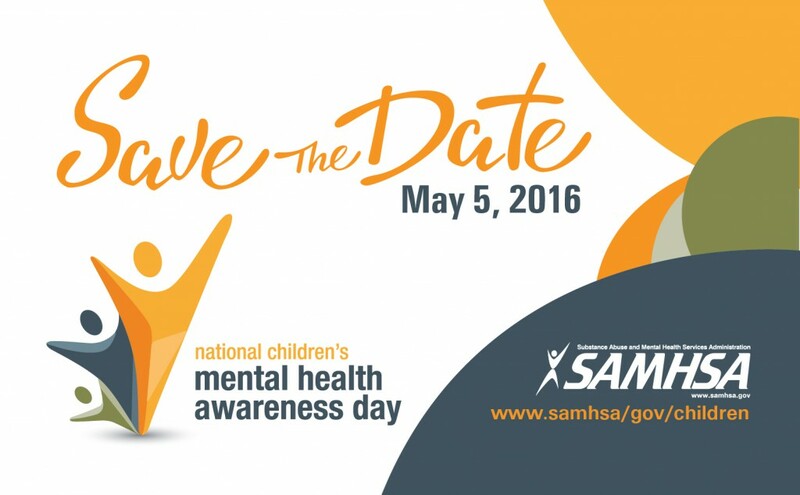 For more info about National Children’s Mental Health Awareness Day or for mental health resources, please visit SAMHSA.gov/children. 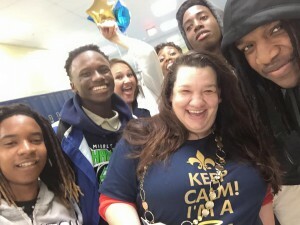 “Tonight I decided what I want to do with the rest of my life, and what scares me is that it had nothing to do with what I came here thinking it would be!” This is just a snapshot of the enthusiasm students shared at Sandalwood High School PTSA’s Take Your Family to School Week event in Florida. 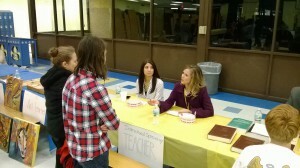 The event was modeled as a career night which featured representatives from over 40 different professions. Sandalwood PTSA, one of National PTA’s 2015 Take Your Family to School Week grant recipients, used grant funds to provide a free meal to all attendees and offer a prize to encourage students to interact with the guest speakers. Families bonded over dinner in the cafeteria, while discussing students’ futures. This sounds like it was a huge success for your school! What aspects do you think contributed to the positive reception, especially when it came to getting students excited? The free food did not hurt. I personally went lunch table to lunch table, the day of the event and promoted it and reminded students and handed out fliers. I created a Facebook event on our PTSA Facebook page weekly and added the occupations who signed on and asked students to post requests for occupations. I think having a wide variety of occupations, and asking student feedback of which occupation they would like at the event helped. We also raffled a laptop. The “cost” of the raffle was for the student to speak with one of the occupations at the event, the more occupations they spoke with the more raffle tickets they earned. I found that when talking to students, if I led the conversation with free dinner and chance to win a laptop first, I had their attention. Then I explained the purpose of the event and they started asking more questions. Would you advise more PTAs/PTSAs to participate in Take Your Family to School Week? Before, I was under the impression Take Your Family to School Week meant just that, bring families to school for school. I had no idea events we were participating in already qualified. I definitely think more schools should participate, parents really appreciated the event, they learned something about PTA, their children, and themselves. Do you have any advice for PTA/PTSAs who are intrigued by the idea of planning a Take Your Family to School Week event, but may be intimidated by the planning process? The materials in the online toolkit, such as the PTA Leader’s Guide, made the process so easy. It was literally less work then planning a typical event, because checklists and materials were provided for me. It took a lot of the thinking out of it. Would you do another Take Your Family to School Week event next year? Absolutely, every parent I spoke to asked us to do the event every year. Thank you so much for sharing your story with us, it is such a great anecdote about the importance of strong family engagement in school! I am so grateful you provided us with the tools and funding to provide this spectacular event. It rejuvenated my spirit. As a High School we have limited funding and this event really allowed people to see what we could be doing. The traditional events are great, but everyone gets in a rut and they don’t draw a crowd like when you do something new. Thank you again. For more information on National PTA’s Take Your Family to School Week, please visit PTA.org/TYFSTW. Autumn is upon us, classes are well under way and many students have settled into their new social circles for the remainder of the school year. Along with the traditional fall celebrations, October also brings National Bullying Prevention Month. PACER (Parent Advocacy Coalition for Educational Rights) originally kicked off the week-long campaign in 2006, and it has since grown to become a nationally recognized month-long campaign. School plays a huge role in children’s social development since the majority of their formative years are spent in the classroom. Students are not only learning academic subjects when they go to class, but also social skills that will form their future relationships. Unfortunately, for some children, school does not always provide a positive learning environment. While some may dismiss bullying as a fact of life, it can have many long term negative effects on students and the school climate. We now know that children who have been bullied are more likely to experience mental health issues, such as depression or anxiety, and children who bully others are more likely to have unhealthy relationships in adulthood. But, bullying does not have to be a reality for students. Families, educators, and students can work together to create positive learning environments in schools and thereby decrease bullying. Talk to your child about bullying and what they should do if they witness it, or become the target of it. 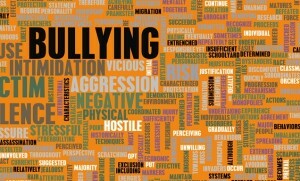 Make sure you know what policies your child’s school has in place to address bullying. Spread awareness by sharing the new Be More Than a Bystander PSAs on social media. The campaign, developed by stopbullying.gov and informed by National PTA, provides safe tactics kids can use to stand up to bullying. Try out TipTxt, a service from Blackboard that allows students to report bullying incidents via text messages without the fear of retaliation. More information on how to obtain the service for your school can be found at http://connect.blackboard.com/tiptxt. Partner with your school’s PTA to host a Connect for Respect event. Connect for Respect utilizes family-school partnerships to prevent bullying by creating positive school climates.